A beauty blog that does makeup reviews, beauty reviews, skin care reviews, nail polish swatches, and all other things beauty. Karey is a USA Today best-selling author. She grew up in Utah, Idaho, Oregon, and Missouri. She attended Ricks College and Brigham Young University. 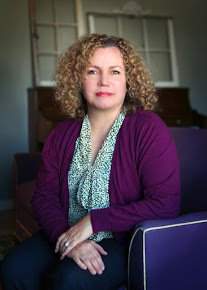 Her first novel, Gifted, was a Whitney Award Finalist. She loves to travel, read, cook, and spend time with family and friends. She and her husband are the parents of four wonderful children. 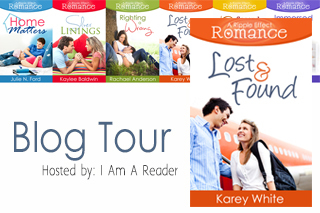 Karey can be found on Twitter, Facebook, and at her website. “Lydia was supposed to have an adventurous and exciting summer. Instead she’s done nothing more than read and eat takeout. Now it’s time to go home, and what does she have to show for it? A big fat nothing. Unless, of course, her trip to the airport somehow turns into something more than just a flight home. Blake feels like he’s been sent on a wild goose chase. While work is piling up back in Denver, he’s on the other side of the country, hunting for some mysterious box that his grandfather left him. Well, no more. Nothing inside that box could possibly be more important than the opportunity to make it as the youngest partner at his firm. So he’s going home, and that’s that. But that’s before he discovers his flight has been cancelled. *NOTE: While these books are part of a series, they CAN be read individually without issue. Lydia is Jace’s sister from Righting a Wrong, which ends with her going to Charlotte, NC to take over the lease on Cambri’s condo for the rest of the summer. While she’s there she’s supposed to have grand adventures and a summer fling. 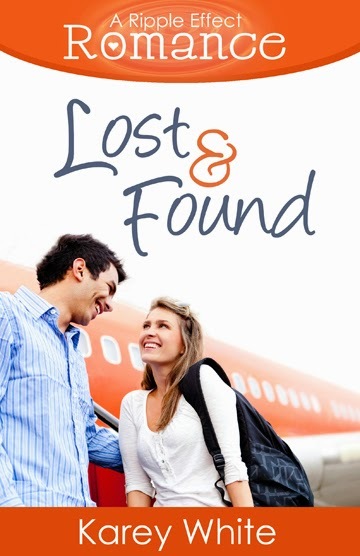 Lost and Found picks up with Lydia at the airport…ready to head home at the end of summer. Don’t worry you didn’t miss much because all Lydia did all summer was read. However, that all quickly changes when she meets Blake, a fellow Coloradan on his way back home as well. Blake’s story is that he’s a workaholic, always has been, on a mission from a beloved grandfather who has recently passed away. Blake’s grandfather has sent him to North Carolina to retrieve a box from a lady, however, after a quick look Blake quickly gives up eager to head back to work. When their flight is cancelled Blake and Lydia talk each other into staying in North Carolina for a few extra days for him to find this mystery woman and for her to find her adventure. Along the way they might find something else. This book was seriously one of my favorites of the series. It was so good that I couldn’t want to see how it ended and read it less than an hour. The relationship between Lydia and Blake is one that grows fast but that you can see has real depth. I found myself pulling for not only Blake an Lydia but for his grandfather as well. If you don’t read any other book in the series this is the one you need to read! Subscribe via email to get posts delivered straight to your inbox. I think you and I have similar taste in books. Everything you post about all sound like books I would love! Looks like a good read. I am currently working on my summer reading list! I am not much of a romance reader, I prefer suspense and thrillers when I do pick up a book I am glad you enjoyed this book/series! Not my type of book, but my mother truly enjoys this type of thing. Will mention this series to her. This looks like such a great read, I will have to check this out thanks for sharing. I know just the person who would love this as a gift! Thanks for the idea! If you like travel as well as a romance novel, then this seems like a great pick. Too bad I’m not headeed anywhere anytime soon! The whole series looks really great. I’m going to have to check it out! I love romance novels. I’ll check this one out. This book sounds like a great love story and prefect for a Summer read. I love that they have a series but that they can also be read separately! I have a few books on my dresser waiting to be read! Ok, so I’ve got to read this one! I live in NC (Charlotte area, actually) and make it a point to read anything set here! Ooh, which restaurants? Do you remember their names? Looks like a great book. It sounds like it would be the perfect book to take to the beach or sit by the pool with. I’m always looking for a good new romance book! I’ll have to check it out. I’m not much of a reader, but this sounds like it would interest me. I’ll have to look at it for my summerreading list! Sounds like a good read. And I need to find out if they end up together!! That sounds like a cute book! I’ll have to check it out. This sounds like a good read! I was just looking for books to travel with, I will have to check it out! Thanks! This looks like a fun series. I’ll add it to my tbr list! This sounds like a sweet love story! These are my kinds of books! This book is sound very interesting and is if it will bring a lot of new fans to the author. I really enjoy reading! I need to try and make more time to do it! Sounds like a good read! Adding it to my list of must reads! Sounds like a great read. I’m not that into romance but I like the storyline of this one. That’s awesome that she gained recognition right from the get-go w/her first book. Thank you for sharing a little about her! Looks like a sweet read. I’d love to flip through this one! I love a feel good romance every now and again. This sounds like an easy, light read that would be perfect to take to the beach! This book sounds good. I’ll have to read it. Sounds like an excellent book. I have a list of books I want to read. May have to add this one. This sounds like a good book for summer reading by the pool. It’s impressive that you finished it in an hour – that must mean it’s good! I have a friend who is really into romance books. I will share this with her. Thanks! My daughter is looking for a new series to read and I think she would enjoy this! Love reading book reviews and enjoyed yours! I need to make time to read a book! I love that this is part of a series, but that it can be read alone as well. Sounds like a very interesting read! Great review! I always love romance novels. It’s been a while since I’ve had time to sit down and take one in. I love the premise of a twisted fates and mishaps that lead people together. That’s how my husband and I met! We both booked a cruise last minute for family that had someone die the week before the cruise left. looks like a great book. I love to read so I’m putting this on my to read list. Southeast by Midwest, your guide to all things beautiful. A primary focus on beautiful hair, skin, and makeup. Secondary focus on beautiful mind (books and information) and beautiful lifestyle (recipes, subscription boxes, and more)! Contact me at southeastbymidwestblog@gmail.com or check out the PR Info via the image below. Southeast by Midwest is dedicated to bringing you truthful, unbiased opinions on some of the most popular makeup products and brands today. As Southeast by Midwest is not on most PR lists, if you would like to help support our efforts by clicking through these links when you shop at these stores it would be greatly appreciated. Shopping via these links doesn't cost you anything extra; just a percentage of your total will be shared with Southeast by Midwest to go towards purchasing new products! Copyright © 2019 Text and photos may not be used without permission.